As the first tour operator to arrange Panda Keeper program, China Highlights proudly provides viarious choices of panda tours to meet your requirements. From visiting pandas in a zoo, spending a private evening with panda, being a panda keeper to tracing wild panda in a remote nature reserve, your wish is our command. Please don&apos;t hesitate to inform us what you like and our 1 : 1 panda expert will be happy to tailor make a unique tour for you and make your tour hassle free. How many days do I need to visit pandas? Here are some inspirations for you to have a general ideas about what to do and how long it takes. Please contact us if you have any questions about the panda tour in China. These are the top panda tours for you to meet pandas on your trip to China. Remember all these panda tour packages can be changed according to your needs. 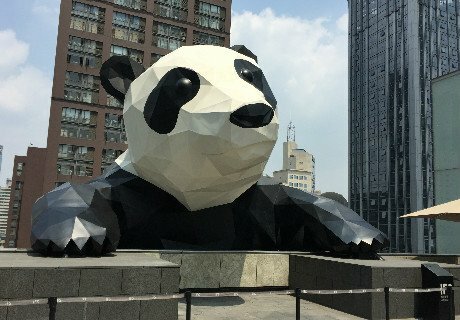 You will be able to be a Panda Keeper to take care of panda and be a local people to wander in the city&apos;s must-sees. 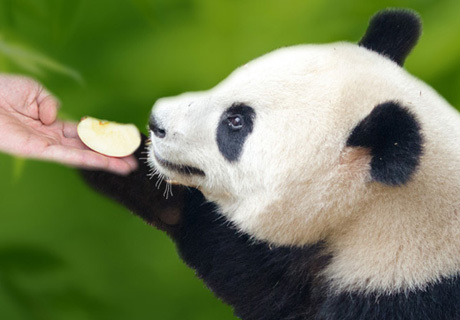 View Wolong Panda Reserve Center and visit panda secretly at night, feed pandas and hike in the real habitat of wild pandas. 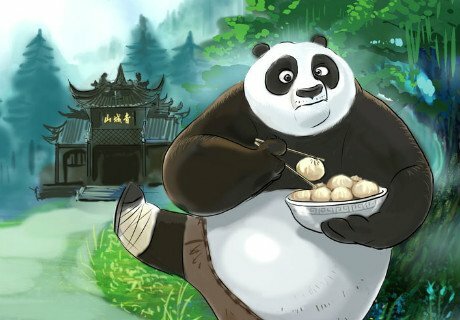 Let&apos;s explore the scenery that inspired picturesque Panda Village in Kung Fu Panda 3. Enjoy classic wonders in Beijing, Xi&apos;an, and Shanghai; relax on the Yangtze River cruise; be a panda keeper for one day. The following trip notes are provided for you to plan your panda tour. Please inquire if you have any questions and our professtional travel consultant will reply within 1 working day. 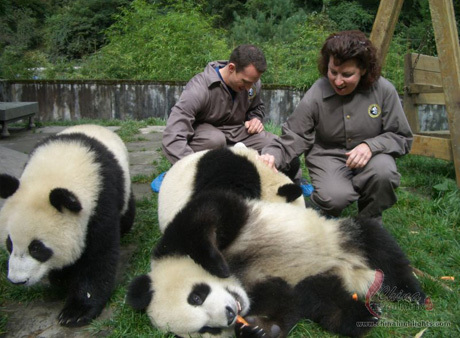 Back in 2007, China Highlights was the first tour company in China to offer a panda keeper program. Since then we have helped over 2,300 customers to fulfill their panda dreams. 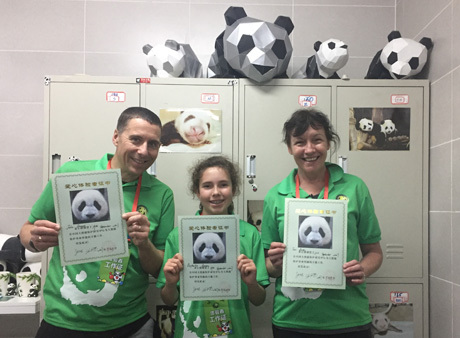 In 2007, Andreas and Vlasta were the first customers to book a panda keeper program with China Highlights. 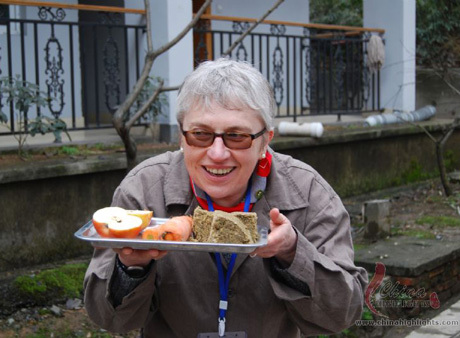 So far, they have traveled with us to Chengdu seven times to be panda keepers. Now, China Highlights has become the tour operator with the biggest collaboration with Dujiangyan Panda Base, where the keeper programs are now run. 1. Where can I see pandas? The best place to see giant pandas is surely at their hometown – Chengdu. It&apos;s the only place in the world to be a panda keeper and take a photo next to a panda. 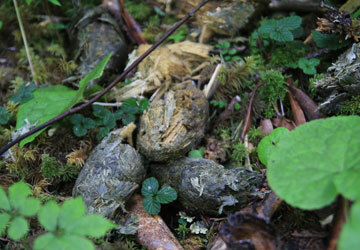 If you would like to see wild pandas in nature, we can arrange wild panda tracing tour in Wolong nature reserve for you. 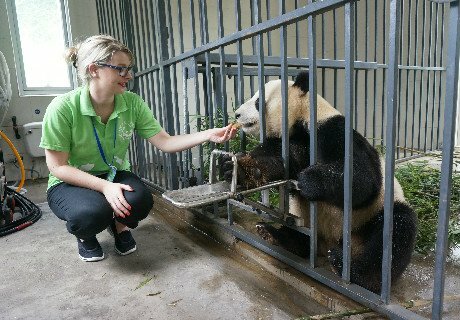 Travel Wolong with China Highlight, you will also have a chance to spend a private evening night with panda! You can also see giant pandas in zoos of the following cities: Beijing, Shanghai, Chongqing, Guilin and Hong Kong. 2. What&apos;s the best time to see pandas? During daytime, it is best to visit during their meal or playing times. Early in the morning 08:30 to 10:30 is very suitable, when pandas come out to eat and play. March to May is the "falling in love period" for pandas, so baby pandas are usually born between June and September. If you come between September and December, you will have a greater chance of seeing cative baby pandas in the panda bases. 3. Do I need Physical Examination Record for Panda Keeper Program? Physical Examination Record is required for panda keeper program applicaiton. Please click the link below to download the form. Feel free to contact our 1:1 travel expert for any questions.